While my beloved barre classes are very much influenced by Pilates, the mat Pilates classes I’d taken in the past have always left me disappointed. I never felt like I was getting much of a workout. During one particularly difficult time in my life, I spent hundreds of dollars I could not afford on a series of private Pilates Reformer sessions. I felt no improvements to my body, I did not enjoy the workout, and I did not understand what I was supposed to be feeling. This class will be core-centric with a classical Pilates twist. The class is 60 minutes and the sequence is: 10 minute warm-up-barre-style to get the blood pumping, 15 minutes of Classical Pilates-with or without props, 10 minutes of interval drills-focusing on glutes, legs, arms & abs, 15 minutes of cardio-ranging from hula hoops to jogging, 10 minutes of Vinyasa-flow yoga. I met Nicola on a large grassy area in the middle of a dock on the Hudson, near the West Village. She set up our spot with mats, two-pound weights and a Pilates magic circle. The river provided the perfect backdrop for a workout on a gorgeous day. We began to warm up, and I was excited when Nicola said it was time to run (a Pilates class with running?! ), which involved weaving around pillars on the dock. While I ran, Nicola followed right behind me, calling out instructions to help me correct my form. Knees higher, land in the center of my foot, abs in, elbows close to my sides, posture straight. These little modifications ensured I was getting the most out of the run and made something I do all the time that much more challenging. The next cardio warm-up was jumping rope. I can’t remember the last time I did this (sixth grade? ), and it was the hardest cardiovascular exercise I have done in a very long time. I was completely out of breath and I had a hard time keeping up. After the heart-pumping warm up, we got down to business. By business, I mean about 45 minutes of feeling my abs burn. Nicola was right there with me to constantly provide corrections so my form was always perfect, my abs were always engaged, my thighs were pressing into the Magic Circle and I could not slack off. I have never felt my abs burn so intensely and for so long – and this from someone used to the infamous Core Fusion curl. The light weights were incorporated into both arm and abdominal exercises; two pounds might seem light, but the small repetitive movements made it feel like they were ten pounds. I especially liked how Nicola noticed this strange twisting thing my left wrist always does during arm exercises and helped me correct it. This is an issue I first realized when I watched myself in an exercise video, but I had no idea how to fix it. Nicola is the first instructor to ever help me correct this habit. A few yoga push-ups and planks later – including the brutal task of moving from straight-arm plank to forearm plank and back – and Nicola was instructing me to stand at the front of my mat and take a deep breath. And just like that, the hour was over. 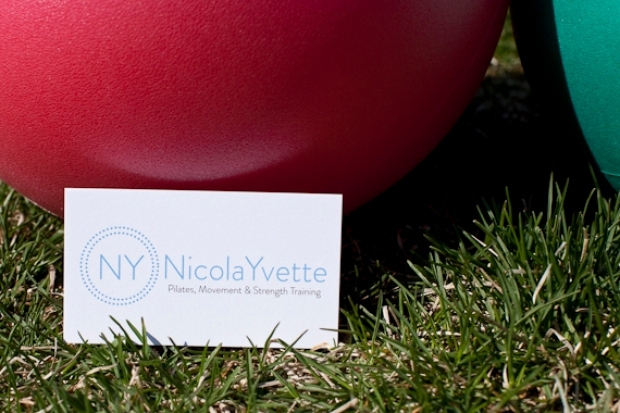 Nicola tailors the hour to the needs of her clients, and changes the exercises and pace accordingly. My session was relatively slow-paced because I was getting over being sick, and despite that I still felt like I got a fantastic workout. My specific class did not incorporate much thigh or glute work, but I think this varies from class to class. Pilates Bootcamp combined traditional Pilates with yoga and cardio, and the core work was much more intense than the Pilates I’ve taken in the past. Now that I know Pilates can be effective with the right instructor, I just might be a convert.